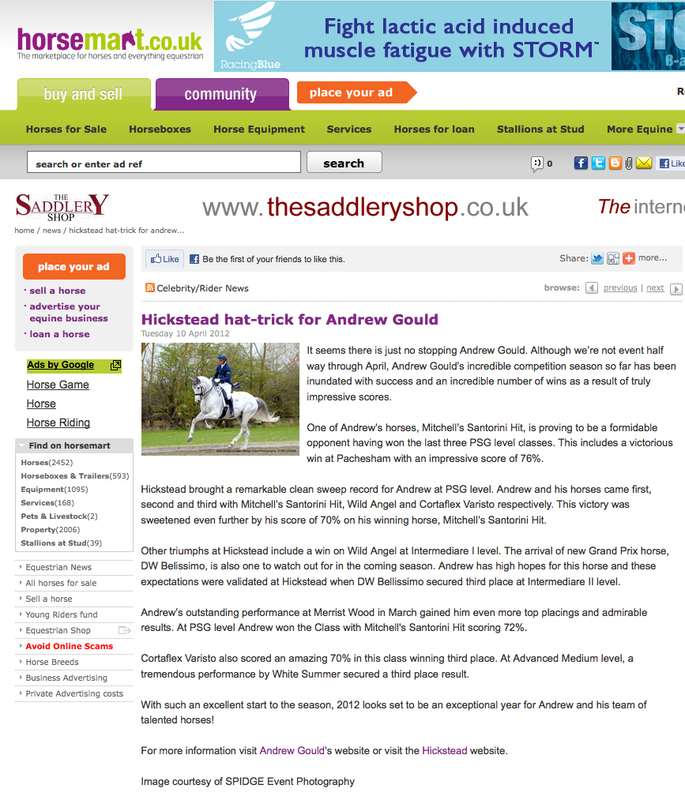 Andrew took his two advanced rides for this season to PAtchetts EC yesterday. 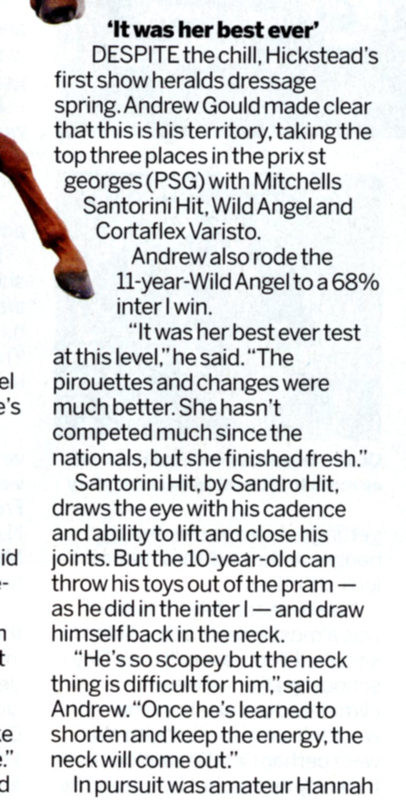 This was both the horses first attempt at this level and he was delighted with the results. 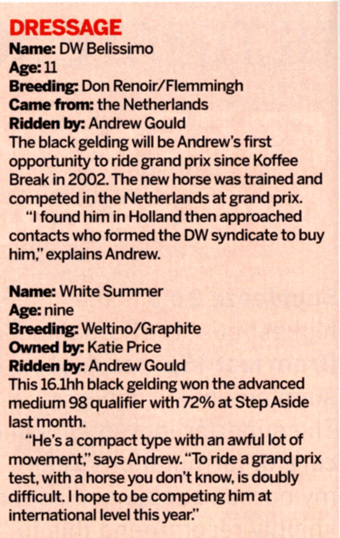 Korenbloem Varisto was a respectable 2nd and Wild Angel was 4th. 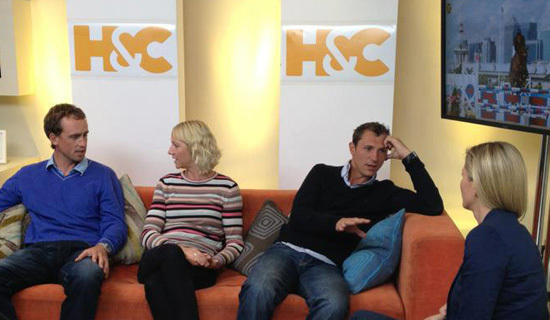 They competed against some experienced and established combinations. 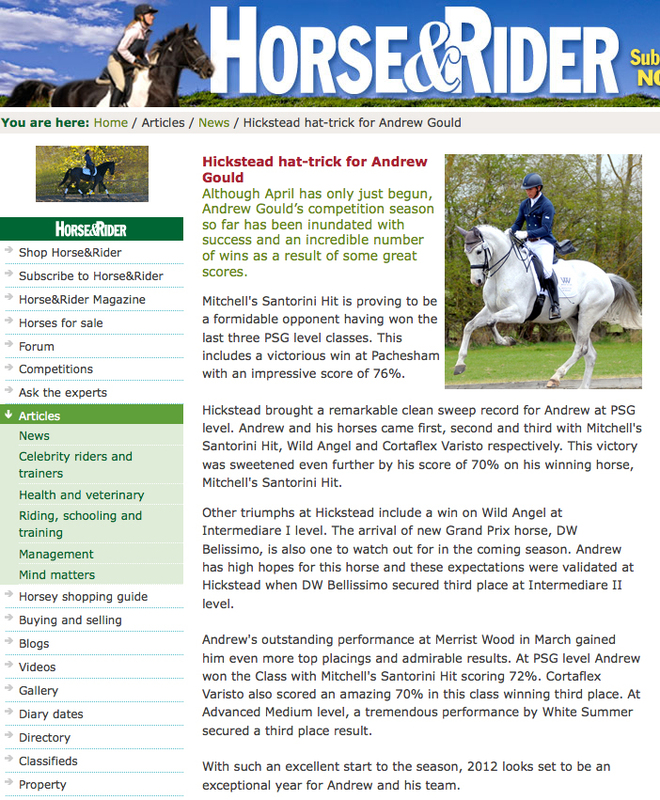 Andrew’s aim is to compete these two horses at PSG level at the Premiere League shows this season. 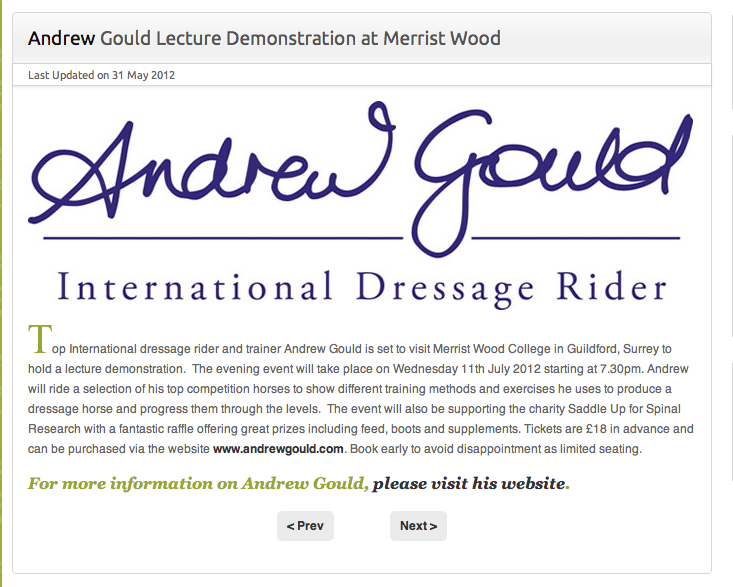 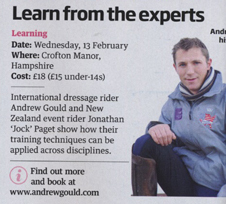 Your Horse magazine have posted videos of Andrew's lecture demonstrations at last years Your Horse Live on their website. 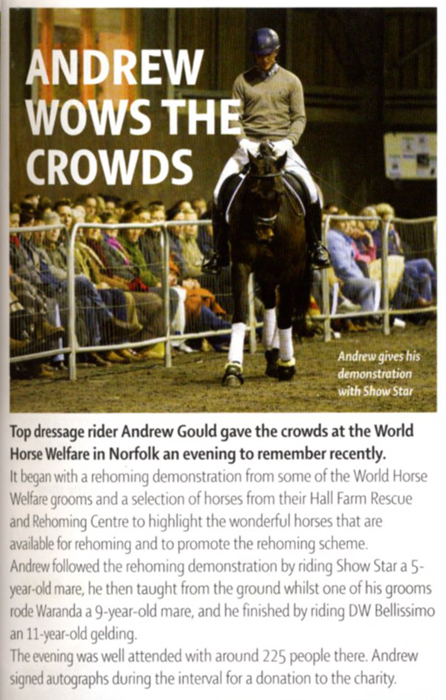 Please click on the link below to watch the videos. 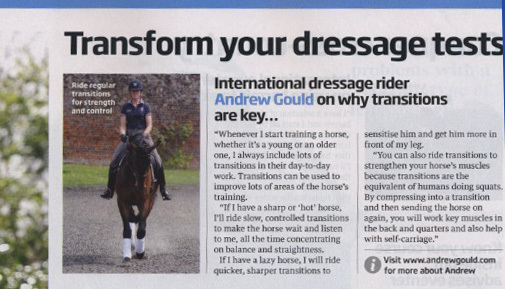 Video 1 - Warming up and transitions, assessing the horse’s paces and staying straight and supple.